The seaside village of Yzerfontein lies 85 km north of Cape Town on the R27. 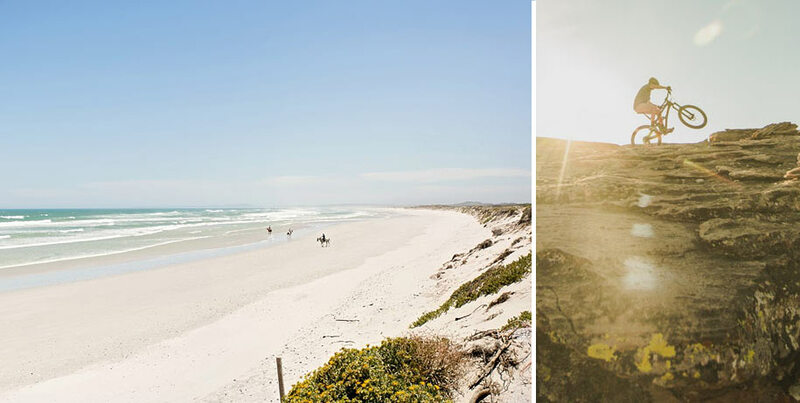 Snuggled between Cape Town and Langebaan, Yzerfontein is the perfect base from which to explore the many attractions of the Cape West Coast. This is a perfect area for cycling enthusiasts too, as there are many great rides. Yzerfontein is known for its unique 16 Mile Beach, the longest uninterrupted sandy beach on the South African coastline, stretching north of the main beach, to the West Coast National Park near Langebaan. The walks are incredible. 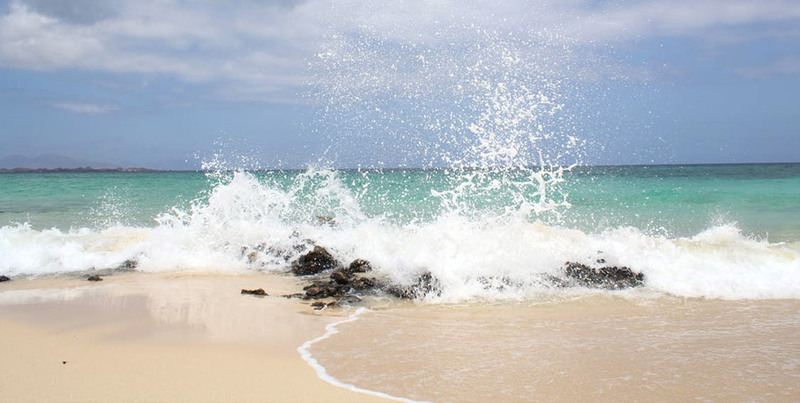 Enjoy beachcombing, whale watching and dolphin watching, bird watching, mountain biking, scenic drives and day tours, as well as hiking and water sports such as skiing, sailing, surfing and angling. It is well-known for the local snoek (barracuda) and crayfish (lobster) and has a small craft harbour for both leisure and commercial boats. The bay is the annual springtime destination for Southern Right whales (August to November) who find their way down from the cold Antarctic to calve. 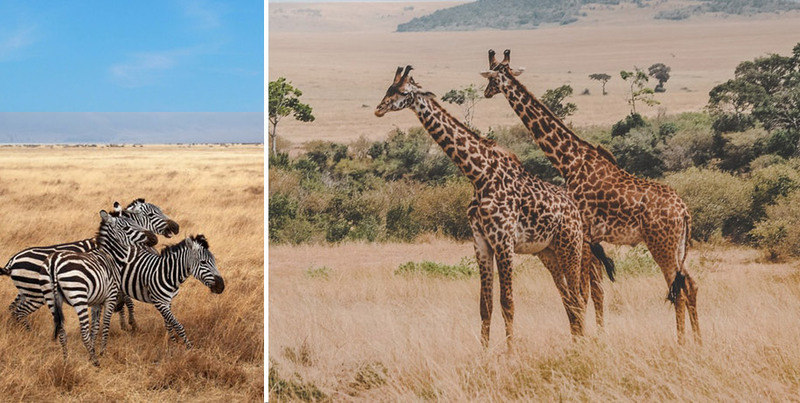 Visitors can view these magnificent mammals frolicking close to shore, from a number of vantage points. Tourist-friendly year-round sunshine seldom gives way to cooler winter temperatures and makes the village a favourite spot among the surfing fraternity. Yzerfontein is a haven for birdlife, including a breeding population of rare Black Oystercatchers, gulls of various species and cormorants. At the nearby salt- pans and the gypsum mine, you could catch a glimpse or a European visitor- a flamingo or a pelican. Also, garden birds abound in the town’s greenbelts. 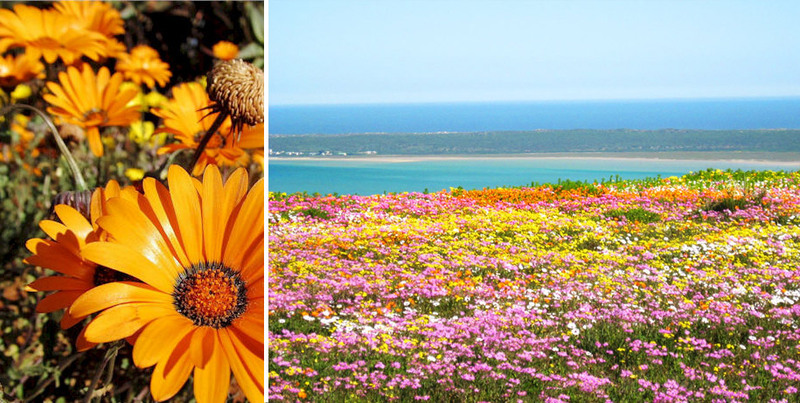 During September and October, an abundance of spring flowers such as Arum Lilies, Wild Cinerarias, and dazzling white and orange Daisies can be seen in Yzerfontein. The town also boasts three indigenous gardens that can be visited throughout the year. The indigenous garden on Dassen Island Drive even has a maze. Yzerfontein is a fishing village, and fishermen angle from the beach and rocks, and (in season & with permits) can also collect mussels, catch crayfish and fish such as snoek, tuna or yellowtail. The Snoek Derby and the Crayfish Derby are very popular events with the keen fishermen. Water sport enthusiasts from as far as Europe visit Yzerfontein on a regular basis. 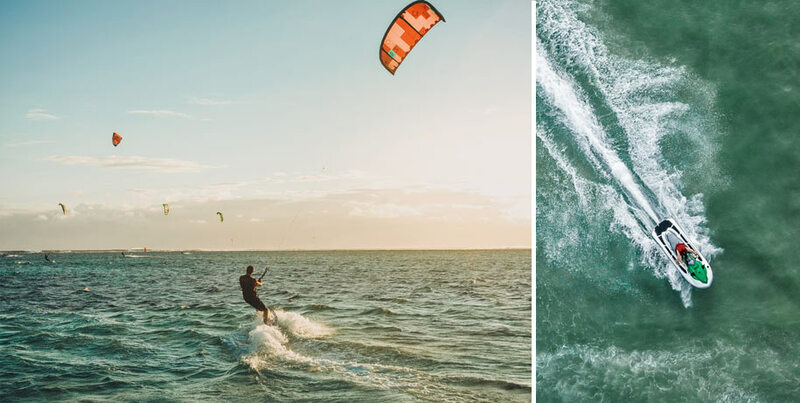 The small –craft harbour allows the launching of boats and jet skis in restricted areas, while the wide shallow bay is popular with body boarders, kite surfers and windsurfers. The weather conditions are ideal for water sports throughout the year. 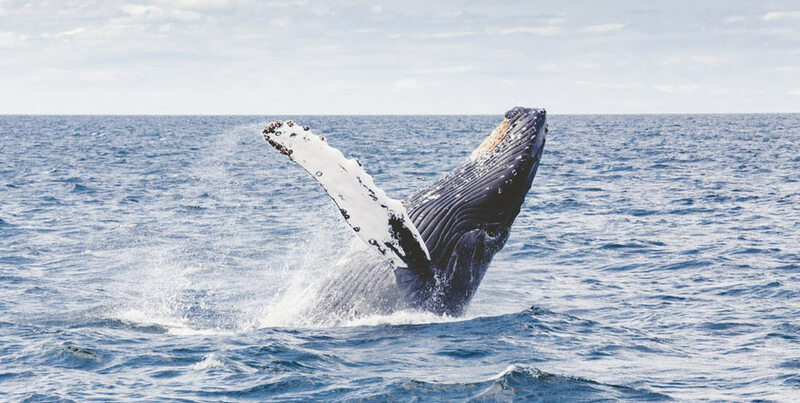 Southern Right Whales, Humpback Whales and Heavy side Dolphins are frequently spotted from several whale observation sites in Yzerfontein during the months of June to November. Whale information boards and benches can be found at these observation sites. The 2km Schaap Island trail starts on the main beach and runs in a southerly direction towards the harbour. The 16 mile trail starts at the main beach and runs north along the beach towards the West Coast National Park. The 4x4 trail on Blombosch Farm is about 7km from Yzerfontein. It is a 14km track and takes about two hours to complete. Braai and toilet facilities are available halfway. The trail is graded 2/3. On the R315, look out for the white lime kilns along the road. From the time of Jan van Riebeeck, kilns like these were used to burn mussel shells. The residue was sifted and then mixed with animal fat to make a lime wash for painting buildings. This is the oldest building in Yzerfontein and was built at the turn of the century. It was used to store fish and salt. It is constructed with stones and cement with a thatched roof. The construction of the thatched roof is unique. It's open to the public during week days. 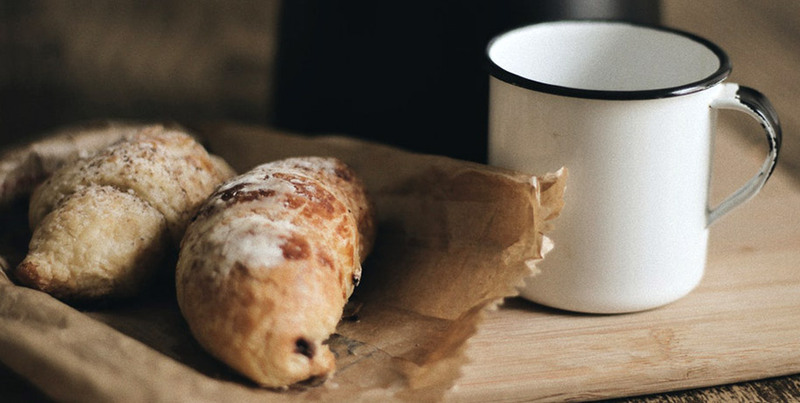 There is a Spar supermarket as well as basic general dealer type shops where you can purchase most of the basics for catering and household purposes. They always have a selection of fresh fruit and veg, as well as meat and groceries. They do bake fresh breads daily. You can purchase fresh fish from the fishing boats, but this is obviously weather and catch dependent. There is a fantastic butchery in Darling, which is well stocked for anything else you may need. Should you want anything more exotic, we would suggest that you bring it with you! There is a video rental shop, a hardware store and a laundry too. Buffelsfontein Game & Nature reserve is situated on the R27 on the West Coast. Really worth doing! It is less than an hour’s drive from Cape Town city centre and this makes it ideal for a quick get-away or day excursion. This once 1 600 ha cattle farm came under ownership of Mr Paul Loubser in 1993 who realized the potential of the land to serve as a reserve and tourist destination. The infrastructure started changing over time with the introduction of a restaurant, bar and accommodation. Only smaller animal species could also be introduced at this time because of the weak perimeter fencing. In the summer of 2000 Buffelsfontein had a huge set-back with a large destructive fire that destroyed almost everything on the then called cattle farm. This destruction included a high percentage of fencing, building structures, plant and animal life. In the following years Buffelsfontein cattle farm literally stood up from the ashes and transformed into the successful Game & Nature reserve it is today. Lion, Buffalo, Giraffe, Zebra, Blue Wildebeest, Red Hartebeest, Kudu, Eland, Oryx (Gemsbok), Bontebok, Springbok, Duiker, Steenbok and Caracal. African Wildcat, Bat-eared fox, Cape fox, Genet, Grey buck, Mountain Reedbuck, Porcupine, Aardvark, Aardwolf and Honey Badger. 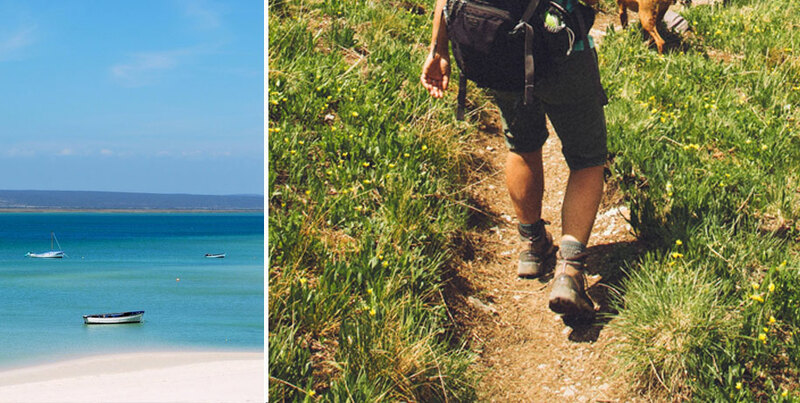 Langebaan is a coastal town that lies along a crystal clear laggoon that stretches into the West Coast National Park. The receeding tide creates a spectacular habitat for birds and other wildlife and can be enjoyed any time of year. You can enjoy sailing, kite surfing, fishing, restaurants and even a casino resort. Darling is an inland farm settlement turned into a quaint artists town with coffee shops, curio shops and restaurants. It is well known and loved amongst local Cape Tonians as the perfect place to go for day trip and relax with some good music and great food.